Local art school Beverley Street Studio School (BSSS) will open a new exhibition in their gallery in downtown Staunton on Friday, May 4. The exhibition, entitled “Printmaking Perspectives,” will include artwork from seven Virginian artists who specialize in printmaking, and it will showcase a variety of techniques and styles current in that medium. The show is curated by local printmaker Dymph de Wild, who received her MFA from James Madison University and now teaches there. De Wild also teaches printmaking classes at BSSS. Participating artists include de Wild, David Freed, Barbara Coyle Holt, Kris Iden, Jack McCaslin, Akemi Ohira, and Jim Sconyers. “Printmaking Perspectives” will run from May 4 to June 9. The opening reception will be held on May 4, from 5:30 P.M. to 7:30 P.M. The Beverley Street Studio School Gallery is located at 22 West Beverley Street in Staunton. 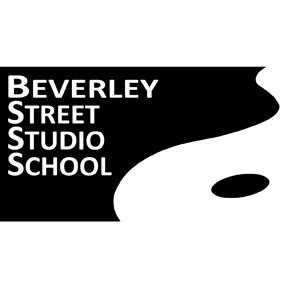 Beverley Street Studio School was founded in 1992 by a group of artists who sought to establish a studio art school that would provide an opportunity for those in the region to engage in art training in a collaborative and nurturing fashion. BSSS has adopted as its mission “providing the community and region with a variety of opportunities to explore the world of the visual arts through practice, professional instruction, and contact with practicing artists.” It is unique in that it is the only studio school located outside a major metropolitan area.